I've been messing around with Revit and trying to understand the internal data structures for its file format. I'm not particularly experienced with this type of work and the processes around reverse engineering something. I figured I would post here and see if anyone had any ideas. My goal is to be able to extract user data from a Revit file. Revit is architectural drawing program, but I know that Revit maintains some kind of event log and history, but I haven't been able to extract it from the file. 00000010: 000b 84da 0934 948f ffe8 714b 4564 8994  .....4....qKEd..
00000030: 4aa2 4264 4b84 ecfb beaf 59cb be6f d9be  J.BdK.....Y..o..
00000050: bbe7 feae 73cf b9ce 799d 63de e7f3 7c9e  ....s...y.c...|. 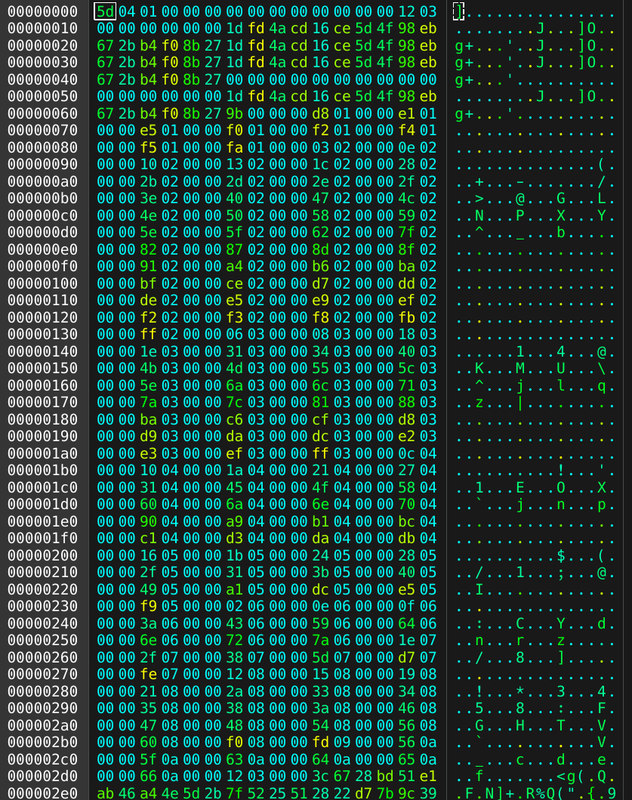 The data looks a bit like gibberish, but 8 bytes in, I can see 1f 8b which is is the magic number for something that is gzipped. So at this point I stripped off the first 8 bytes and un-gzipped the file. This is where I'm stuck. The files are unzipping successfully, but I can't make sense of the binary data that's being spit out. All of the files have similar pattern. I'm posting pastes to the sample files that I have. The first 860 bytes or so have alternating null "words"
I've tried a few different tools to understand what's going on like xortool and binwalk. I haven't been able to really understand what this file is and what the header and trailer sections could mean. I figured I would share here and see if anyone had any ideas or thoughts of things to try. Looking at the data below, I can also see that there is a section of the data at the beginning that has a number that seems to be counting up. It stands out very clearly in the Veles view. 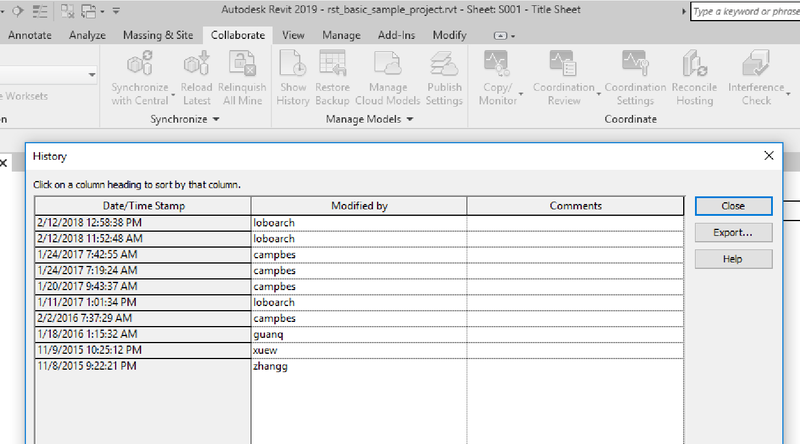 If it helps, this is a screenshot of what the history looks like for an example Revit file. I would guess it's stored simply in the History file, but I can't really tell. Browse other questions tagged binary-analysis binary-format digital-forensics or ask your own question.